Take a look inside the life of Stevie Stone in the latest music video from Rollin’ Stone. From the struggles faced on the road to the hardship of sacrificing time with family, Stevie Stone finds his own release on “My Remedy”. One of the most personal and profound tracks on Rollin’ Stone, “My Remedy” paints a vivid picture of the pain that can come with success and the one thing that can make it all worthwhile: music. 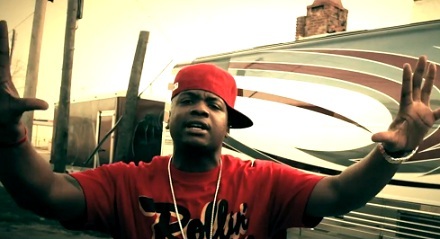 Featuring footage from Stevie Stone’s live performances, “My Remedy” sees the Strange Music emcee during times of conflict and ultimately in the one place he can leave it all behind, the stage. Have you ever seen Stevie Stone perform live?